One Non-Pro team in particular, Offshore Warrior, had a standout performance in the Showdown. They weighed in 4 kings for a total of 123.9 pounds. That score was not only enough to claim the top spot in the Non-Pro Division, it was also enough to win the overall tournament and a paycheck for $12,646! Tax Relief finished 2nd in the Non-Pro Division and 4th overall in the tournament with 102.9 pounds followed by team Blue Brothers in 3rd in the Non-Pro and 7th place overall in the tournament. Team Blue Brothers also scored big with a 47.9-pound kingfish that they caught on a monster blue runner right out front of Jupiter Inlet. The king also turned out to be the heaviest fish of the Showdown. Blue Brothers made history by becoming the first team to catch the heaviest fish of the tournament back-to-back in the PBSC series. They posted a 45.7-pound king at the Saltwater Slam back in June. The big king at the Showdown helped the team on their way to a $13,087 payday. That payout combined with winnings of $18,124 at the Slam contributed to a 2-tournament score of more than $31,000 for the Blue Brothers crew. 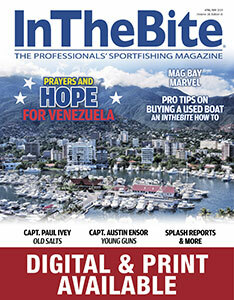 The pressure was on for team Advanced Roofing/Sailsmen heading into the Saltwater Showdown. 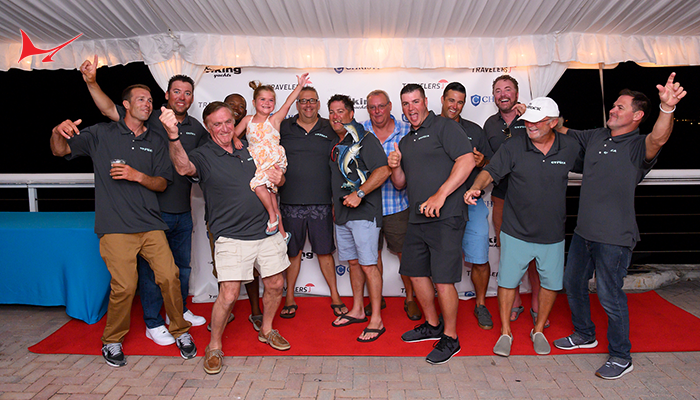 They held an 11-point lead over team Pop a Top/Bonefish Mac’s in the race for the Simrad sponsored Showdown Crown. The Crown recognizes the most dominant meat fishing team in the sport. Teams must perform at the highest level across all three tournaments in the PBSC series in order to claim this elite title. Captain Skip Dana and his Pop a Top/Bonefish Mac’s crew were the first to the scale. 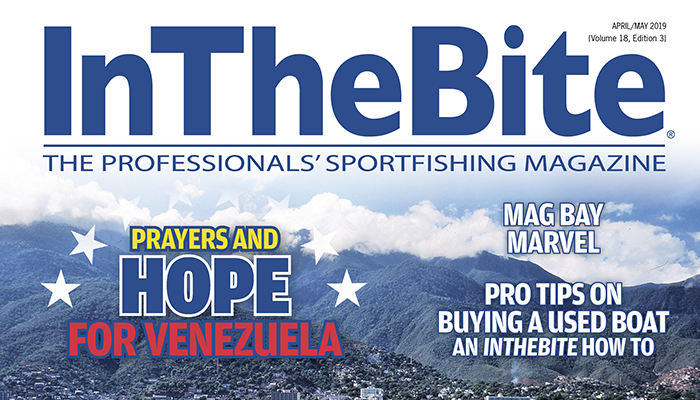 They posted a solid 92.2 pounds in 4 kingfish – enough to secure the 6th place position in the tournament. Captain Jeff Scott from the Advanced Roofing/Sailsmen crew felt they were sitting on about 60 pounds of fish and knew it was going to be too close for comfort. 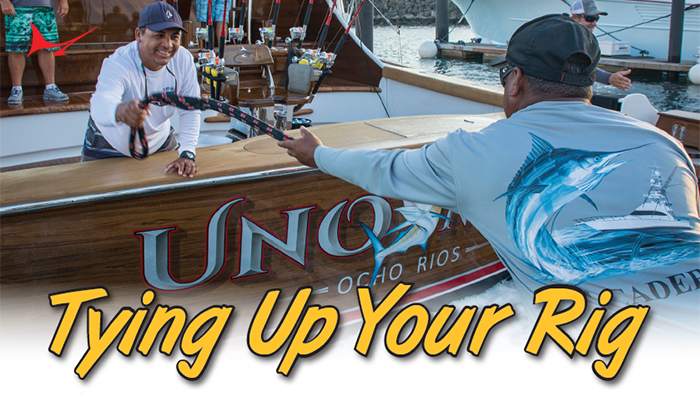 The first kingfish to hit the scales for ‘The Roofers’ was 9.7 pounds – not enough to meet the 10-pound minimum requirement for the tournament. Their next three kings made weight for a total of 59.5 pounds and a 15th place finish in the Showdown. As the numbers were tallied, a mere 2-points separated the Pop a Top and Advanced Roofing teams with The Roofers coming out on top. In addition to their $8,900 in winnings from the Showdown, Advanced Roofing will also receive a set of custom rings to commemorate their achievement as the #1 meat fishing team across South Florida for 2016! Team Seapremacy, the 3rd place team in the Showdown, also finished the season in 3rd place for the Showdown Crown followed by How Ya Reelin in 4th and team Shaka in 5th. 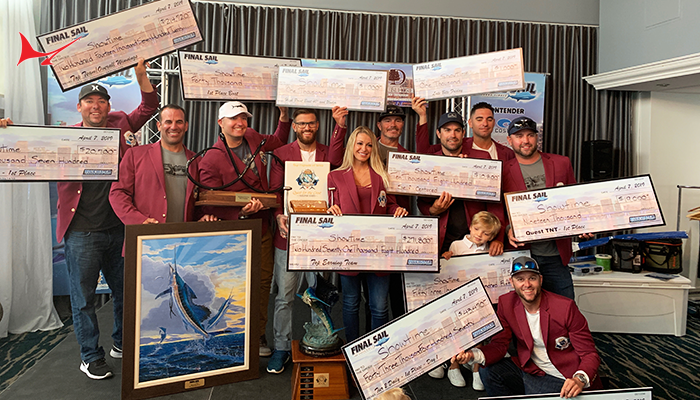 Team Shaka also grabbed the 2nd place spot in the Showdown with a solid catch of 3 kings and 2 blackfin tuna for a total of 119 pounds and a check for $12,775. Team Seapremacy collected a nice payout of $12,682 as well. 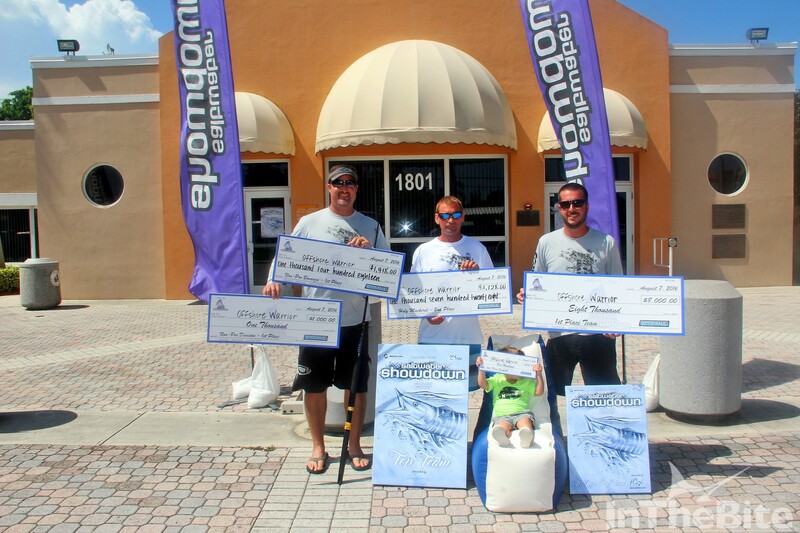 The Junior Master Angler title for the series went to Mason Selvanik of team Rush Rolloff. In addition to a beautiful trophy sculpture, Mason also received a 75 quart YETI cooler stuffed full of fishing goodies. Jessica Hawkins on Nearly Impossible was the top female angler with 39 points and Alex Burgess on Seapremacy was the top male angler with 68.4 points. A record setting cash purse of $444,408 was handed out in the 2016 PBSC series. 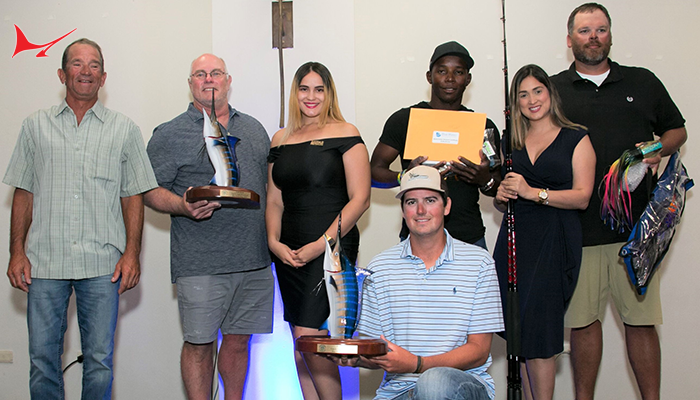 In addition to the substantial cash prizes, the Pompano Beach Saltwater Circuit is a tremendous fundraiser for charity as well. In 2015, the series adopted the Children’s Tumor Foundation as the charitable beneficiary – a relationship that continued forward into the 2016 series. CTF is devoted to advancing research and care for neurofibromatosis, a genetic disorder that currently has no cure. NF causes tumors to grow on the nerves throughout the body leading to a number of complications that can become life threatening. Proceeds generated from fish donations, contests, auctions and more will help CTF to conduct the research necessary to one day find a cure for NF. 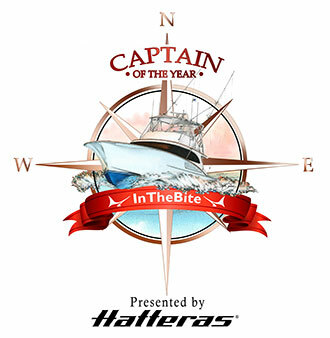 The largest award handed out during the awards ceremony on Sunday was a 29’ SeaVee boat valued at $132,00! The 29’ SeaVee comes powered with twin 250HP Mercury Optimax engines, a Loadmaster Trailer, T-Top and leaning post. Thousands tuned in to the live streaming of the SeaVee drawing on August 7th at www.winaseavee.com to see who would be the lucky winner. At around 5pm, Terry Lee of Miami, FL received the phone call of his dreams when he found out that he held the winning ticket, #1425, for the SeaVee boat! A portion of the proceeds from the drawing support the Children’s Tumor Foundation and the Pompano Beach Kiwanis Club. The results of the drawing and all finalists are available online at www.winaseavee.com.